Kale is a member of the cabbage family and is one of the most nutrient dense foods on the planet. It contains an abundant amount of Vitamin A, Vitamin C and Vitamin E, along with iron, calcium, manganese and several B Vitamins, including folate, which is a B vitamin essential for brain development. Kale also contains a variety of antioxidants that fight depression, lower blood pressure, fight cancer and work to lower cholesterol and protect our heart and eye health. Kale helps to detox our bodies from harmful chemicals and works to correct our sense of equilibrium. Kale has been dubbed a “super food” for its ability to provide ample nutrition and protection for our bodies, while being low in calories (33 per cup), low in cost and easy to grow. In Africa, if you are about to embark on a long, difficult journey, a mixture of kale and collard greens is eaten to provide a boost of nutrition for the trek ahead. Kale is the subject of several books. “Kale: The Complete Guide to the World’s Most Powerful Superfood,” a book by Stephanie Pedersen, is filled with recipes from smoothies, slaws, main dishes and deserts featuring kale as the main ingredient. Dr. Drew Ramsey, psychiatrist and farmer, wrote “Fifty Shades of Kale” with Jennifer Iserloh. Ramsey says that “by eating to feed our brain, we can reduce depression in this country by 40 percent. His book has 50 recipes that are especially good for folks who are not use to eating greens and want to learn how to incorporate kale into their diets. Ramsey’s book also gives science-based nutritional information and excellent cooking tips. So, has your doctor told you to add vegetables to your diet? Kale is a great choice and the timing is perfect with several books available on how to prepare kale. Kale is truly the king of the greens. Several varieties of locally grown kale are available from 9 a.m. to noon today at the Growing Growers Farmers Market. 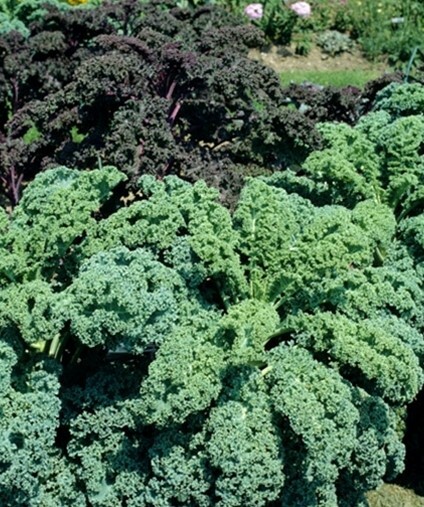 Additionally, free recipes are on hand as well as information on growing kale in South Texas. This farmers market is located in Firemen’s Park, 201 1st Street at the corner of Business 83 and 1st Street in McAllen. Barbara Storz is a local horticulturist. You can listen to her garden show at 7 a.m. Saturdays on 710 KURV Radio. You can also e-mail her at bstorz@rcommunications.com.